The Endo Blog: Who Cares About the Periodontal Ligament? Who Cares About the Periodontal Ligament? Congratulations to the manufacturers and marketers of dental implants! We now have patients with perfectly good teeth considering removal and replacement with implants on their very own! We are actually seeing patients that are convinced that an implant is better than a natural tooth! I was once at a seminar where a specialist was discussing implants to a group of endodontists, when I asked a question regarding the periodontal ligament, the lecturer replied, "Who cares about the periodontal ligament?". Perhaps that is a good questions to ask? 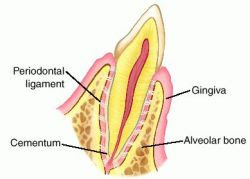 The periodontal ligament is the difference between a natural tooth and an implant. While implants are an ideal way to replace a missing tooth, an implant will never be able to replace the periodontal ligament. I think perhaps we overlook the benefit of having a periodontal ligament in our haste to condemn a tooth and replace it with an implant. 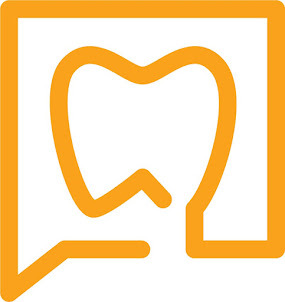 The periodontal ligament is the dense, fibrous connective tissue that connects the tooth to the bone. It is vital in the transmission of masticatory force from the tooth to the bone. It acts like a shock absorber, giving the tooth some movement in the socket. It provides proprioception, or feeling to the tooth. Without proprioception, we can have traumatic occlusion and have no sense of it (ie. fractured porecelain). The periodontal ligament also has an important interaction with the adjacent bone. If you loose the ligament, you will also lose bone. The periodontal ligament is the home to important cells such as osteoclasts, osteoblasts, fibroblasts, cementoblasts, cementoclasts, undifferentiated mesenchymal cells (stem cells). These cells are all important in the dynamic relationship between the tooth and the bone. These cells are important in orthodontic movement or extrusion. The periodontal ligament and its associated cells may be the only real consistant way to stimulate bone growth. 1. The implant cannot be moved in any direction from its integrated position. 2. There WILL be crestal bone loss initially. 5. With loss of crestal bone come loss of gingival height and esthetic issues. As I mentioned, implants are a great way to replace MISSING teeth. But they are not alternative treatment for restorable teeth. This patient was seen over 3 years ago. Tooth #8 was diagnosed as necrotic w/ acute apical abscess. She had swelling and pain at the time. Antibiotics were prescribed and RCT recommended. Patient has returned again today with swelling and pain. She reports that she did not have RCT done because the swelling and pain went away. There is no mobility, despite the increased size of the lesion. The RCT has been recommended again. Unfortunately, due to previous experience with root canals, she is convinced that they are less successful than an implant. Proper understanding of the role of the periodontal ligament with this tooth should help her decide the only acceptable way to treat this tooth is with endodontic treatment. I care about the periodontal ligament! Amen. I get bothered when implants are recommended over restoring a salvageable tooth. This article is very well written and very informative! Keeping restorable teeth is a priority. I came across periodontal ligament after my dentist in la recommended that my molar be extracted instead of just a mere pasta.